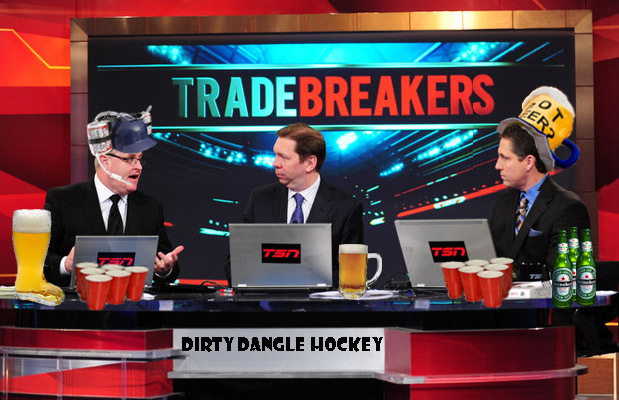 Dirty Dangle Hockey: 2015 NHL Trade Deadline Drinking Game! 2015 NHL Trade Deadline Drinking Game! 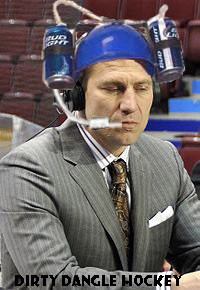 There's only one thing that can make watching hockey analysts and ex-NHL scrubs talk about potential trades for 8+ hours and that thing is alcohol. With a flurry of trade action occurring in the past two weeks there's no real expectation for Trade Deadline Day to be that exciting, but there is still a lot of work to be done by NHL GMs. Players are still likely to be moved and with David Clarkson's unmovable contract being dealt a few days ago literally anything is possible. So enjoy your day at home on the couch with some beers, fire up NHL 94, and order some Za to get you through the day. Remember, don't be an idiot and please drink responsibly. Any time a reporter mentions a player has just left the ice or is not at practice. Every time the 2015 Draft Lottery odds are discussed. Any time a GM is shown on their phone. Any time someone texts you about a trade. If you switch to a different network after an announced trade and that trade hasn't been mentioned on air yet. Double up if Kypreos breaks a trade first. For every "conditional draft pick" traded. 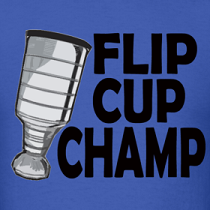 If the 2015 World Cup of Hockey is talked about. If an assistant captain or captain is traded. If a player's advanced/fancy stats are mentioned. If a player being interviewed says he learned of the trade while watching TV. Every time you wish CapGeek still existed. If a player with a cap hit of $5M or more is traded. If a first round pick is traded. If you've never heard of a player that was traded. If a player waives their no trade clause. If you are fooled by a fake insider account. If Brian Burke finds a way to get on TV. If a player already traded this season is dealt again. For every hour without a single trade being made. Shotgun a beer and call your best friend to tell them that you love them if Tyler Bozak is traded away from Phil Kessel and the Toronto Maple Leafs. Do a Jager Bomb every time Jaromir Jagr is mentioned. Take a Phaneuf shot if he is traded - go to throw back a shot of liquor but miss the target. 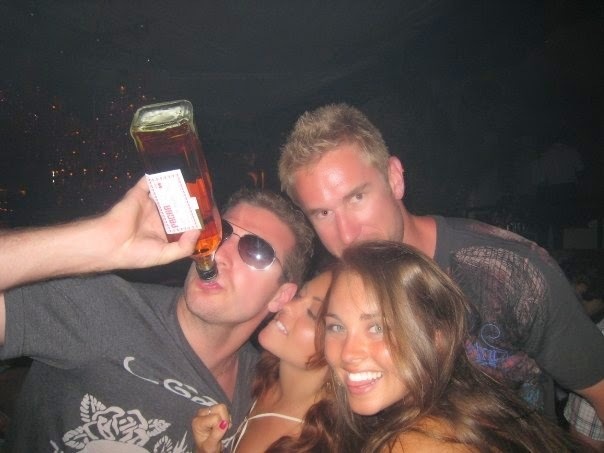 Drink in someone's face if Mike Richards is traded.